demands a mixture and blend of skillsets, which is essential to achieve maximum awareness and results in the challenging era of traditional and online media. The Fuzion multi-discipline team operating from offices in Dublin and Cork, Ireland provide marketing consultancy services to clients from many different industry sectors, on a national and regional basis. At Fuzion with our extensive experience in marketing and with a solid business background we have a wider base of experience enabling a more extensive consultancy service. The landscape for marketing is more complex than ever before with the growing importance of digital media and we have evolved our services offering to make sure that all of our clients are in a position to take advantage of all opportunities. We provide a comprehensive suite of marketing consulting services including business review, strategic planning, communications audit, brand consultancy, logo development, graphic design, advertising campaign planning, public relations, social media, direct and online marketing. At all times we develop a robust plan ensuring that all parts work together achieving a synergy of effort and resources. 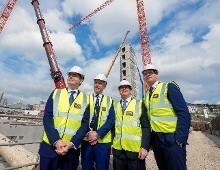 As part of a scheduled trip to Cork City on Friday 12th April, Paschal Donohoe TD, Minister for Finance made a site visit to Penrose Dock to review the ongoing transformation of Cork’s Docklands. 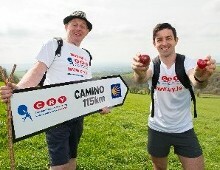 Five-time All-Ireland winner and the country's first winner of Dancing With The Stars, Aidan O’Mahony, is calling on the public to join him in walking the Camino de Santiago to raise vital funds for Cardiac Risk in Young (CRY) Ireland on 7-14th September. 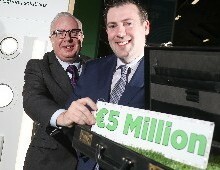 VERDE LED, a leading Irish manufacturer of commercial energy saving LED lighting solutions, has announced details of a €5 million fund they now have available for customers to finance their energy efficient lighting needs. 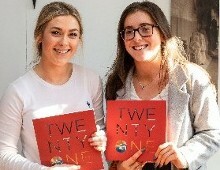 T4Adventure, a company that creates and produces a range of lightweight, quick-cooking breakfasts, entrees and snacks that nourish and reward outdoor athletes, has been named Bank of Ireland/IGNITE Best Business. Fuzion Communications is pleased to announce the appointment of Ciara Jordan as Account Director. Paddy Irish Whiskey is launching a series of events throughout the country called “The Spirit of Paddy”, honouring a very special Irishman and Corkonian, the namesake of the drink, Paddy Flaherty. 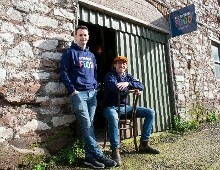 Cork company, NeighbourFood has been selected by the Local Enterprise Office (LEO) Cork City to represent LEO Cork City at the 2019 National Enterprise Awards on Wednesday 29th May in the Mansion House, Dublin. 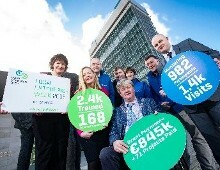 Ann Doherty, Chief Executive of Cork City Council, and Ita Madden from LEO Cork City were on hand today with two of Cork City’s successful entrepreneurs, Jack Crotty and Audrey Lehane from Azure Jewellery to launch Local Enterprise Week 2019.